Use our free mortgage calculator to estimate your monthly mortgage payment, including your principal and interest, taxes, insurance, and PMI in Tennessee. See how your monthly payment changes by making updates to your home price, down payment, interest rate, and loan term. Tennessee, the Volunteer State, has seen home values rise by 9.2% in the past year, led by Northeast Tennessee. However, home prices still remain relatively low, the 16th lowest in the country, and the cost of ownership relatively low at 19% of monthly income. If you are looking to move from Nashville to Memphis, you'll be joined by the state's beloved Titans. Current rates in Tennessee are 4.263% for a 30-year fixed, 3.998% for a 15-year fixed, and 4.153% for a 5/1 adjustable-rate mortgage (ARM). The Tennessee Housing Development Agency, or THDA, offers several loan programs to help qualified first-time home buyers get a mortgage. 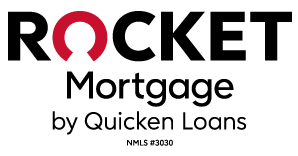 This 30-year, fixed-rate loan is available to qualified first-time home buyers as well as repeat buyers purchasing property in certain designated areas. Once qualified for the Great Choice loan, you’re automatically eligible for help with your down payment and closing costs. NerdWallet has done the work for you to pick the best financing partner for you in Tennessee. Taking U.S. Census data, NerdWallet has crunched the numbers to help you understand what property tax rate you can expect to pay on your future home in Tennessee. Because assessed values aren’t frequently updated, you may pay a higher rate at first but eventually you’ll pay a similar rate.